In Topic: Should they keep the Austin Powers-style humor for the next Duke game? In Topic: Anyone still play this? 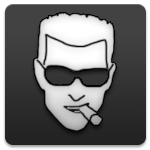 I liked the humor of Duke Nukem Forever, it gave Duke some personnality at least (not that hard when you think that, in DN3D, Duke is merely a voice and a sprite in a miror, assides from his interactions with the few humans you meet) ! In Topic: Duke Being Put To Pasture? gemeaux333 hasn't added any friends yet. gemeaux333 has no profile comments yet. Why not say hello?